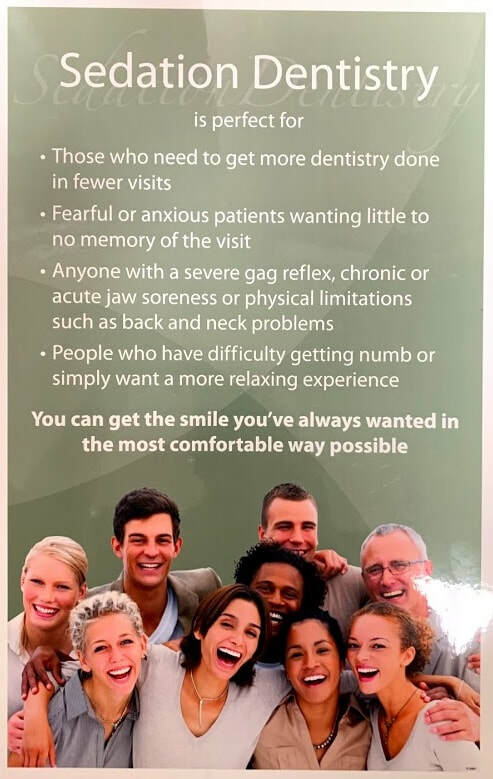 Whether it's a broken tooth that needs to be fixed, yellow teeth that need to be whitened, missing teeth that need to be replaced, or pain that needs to be eliminated, with Sedation Dentistry; you can regain your dental health and have the fabulous smile you always wanted. We gather information regarding your health and discuss with you your wants and desires. If you're comfortable, we'll take x-rays and look in your mouth. But you will never be judged or embarrassed. Preparing for your sedation visit. Go home with your new smile.